As it is one of the latest “must have” ingredients, you can find product after product labelled with “Argan Oil” in bright, bold fonts across the bottles… but are all the products equal? In a word..er.. NO. Any old product can contain a couple of drops of this beautiful oil and the rest could be made up from cheap filler ingredients. Also you need to consider the oil itself, whether the argan nuts have been grown organically, how the oil has been extracted… all these things can have an effect on the oils properties. Luckily with most green beauty brands, like Terre Verdi, you know you are in safe hands. Terre Verdi source their argan oil from a self sustained woman’s cooperative, which is part of the Berber tribe. In return for a fair wage, these woman protect and love the argan trees, growing the fruits using organic, sustainable methods. The women crack the kernels by hand, which are then cold pressed using millstones. These are slow, time consuming processes, but by doing them it means that all the wonderful properties of the oils are kept pure and intact! I have been lucky enough to test two of Terre Verdi‘s argan based products, their Marocco Argan Oil, and the award winning ArganShea Multi Cream. 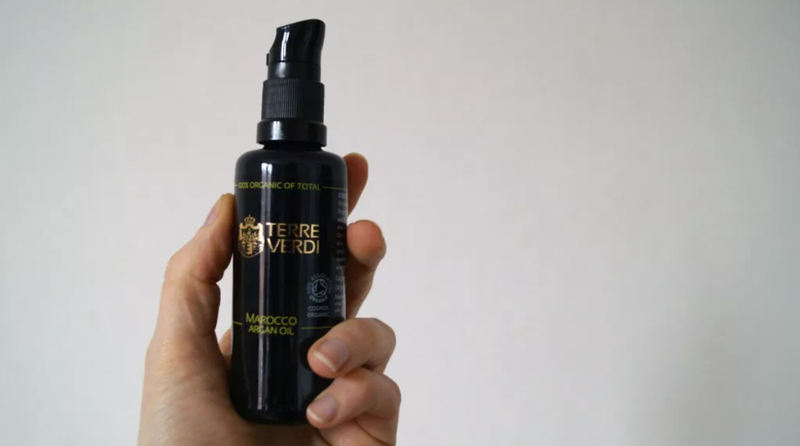 First up the Terre Verdi Marocco Argan Oil, 50ml of 100% pure, organic argan oil. It doesn’t get more untouched than this! I’ve been using this EVERYWHERE. I find it works beautifully on my hair and scalp. I do tend to have a very dry, itchy scalp, and often suffer with psoriasis. I’ve been applying small amounts to my scalp and massaging in every night and I can’t quite believe how much this oil has helped. My scalp presently feels quite …dare I say it… normal!! Not particularly dry or itchy, and not a flake to be seen! I rarely wash my hair, but I don’t seem to be getting any build up. Each day I can feel the oils travelling further down my hair to the ends, which is also helping my frizz and keeping everything looking a bit healthier and nourished. Although it is a “drier” oil, and therefore not quite a greasy, or sticky as some oils, I probably wouldn’t suggest this for just anyone… you might end up with a bit of an oily head!! But perhaps instead it could be used like a mask overnight, and then washed in the morning. Or just a few drops can be used after washing, like a serum. I’ve also been using it every morning on my ever growing tum… (growing due to pregnancy… not cake). 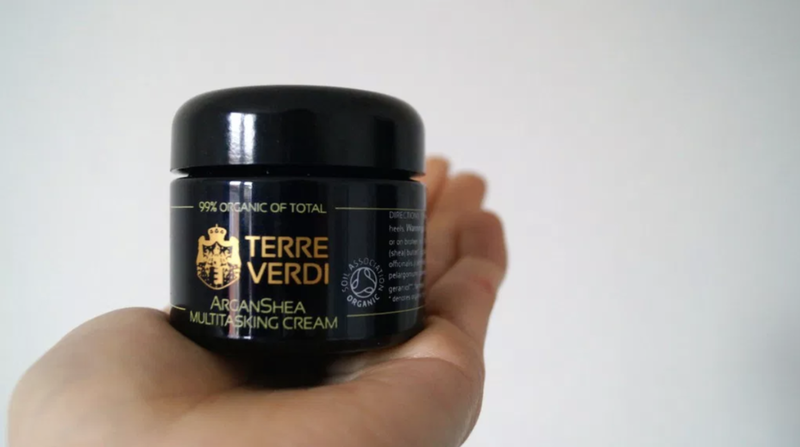 It does make my skin feel beautifully smoothed BUT I have found that in the evenings, when I want to apply something just a touch more luxurious, I like to massage in the Terre Verdi ArganShea Multi Cream. 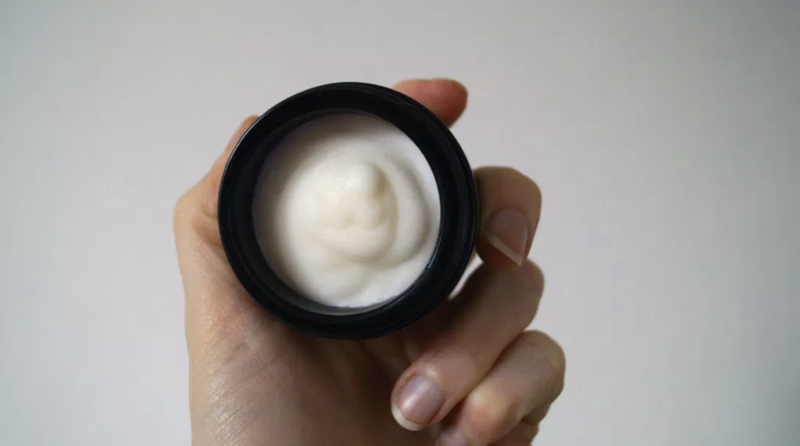 This cream (I’d argue is more of a balm), is made from shea butter, calendula oil, argan oil, and vitamin E, and is super rich and extremely effective on dry areas. It also contains a blend of neroli, geranium and sweet orange essential oils, all of which are safe for use in pregnancy and give it an uplifting, citrusy scent. I have quite oily skin on my face and décolletage, so it’s a bit too much for these areas (I did give it a go anyway. But it was a resounding no.) So I’ve been mainly using it on my bump, legs and feet. I’m totally unsurprised that it’s won so many awards, because it really HAS made a difference. I’m on my knees a lot at the moment when I’m playing with my two year old, and I’ve built up quite a layer of hard, dry skin on my knees and on the tops of my feet where they rub on the ground. I’ve used this cream every night for a month and it has really helped to nourish and soften these areas. As you might be able to tell, I’m pretty impressed!!! I’m so excited that I’ve found another organic, ethical skincare range to love, and all Terre Verdi’s products are vegan!! Hmmmm what to try next….. I must say an Orange Coffee Cleansing Mask sounds a bit too exciting to ignore…..